On every episode of “Shoot This Now,” we talk about stories that should be made into movies. 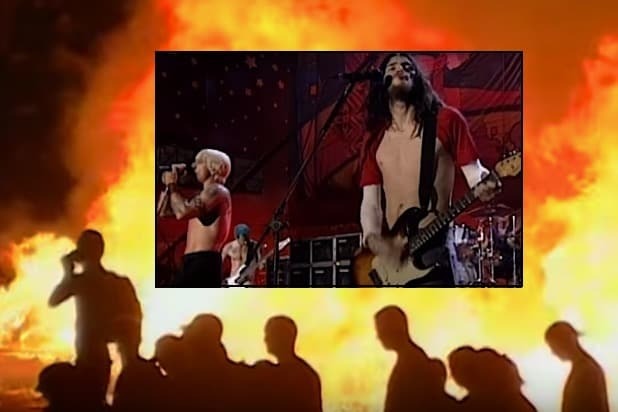 We think this story needs to be told because the dumb entitled rage at Woodstock ’99 grimly foreshadowed the rage now playing out in American politics. Limp Bizkit singer Fred Durst is one of the key figures in the drama: For years afterwards, he would be accused of encouraging concertgoers to break things during the Limp Bizkit song called, you guessed it, “Break Things.” Durst has said he wanted to spread a positive message, not a destructive one. The property damage was the least of the problems at Woodstock ’99. As Rolling Stone detailed, women were forced into taking their clothes off and worse. The Washington Post wrote a horrific account of the multiple sexual assault accusations. Because many of the attacks took place in the violent anonymity of a mosh pit, no one has been brought to justice. 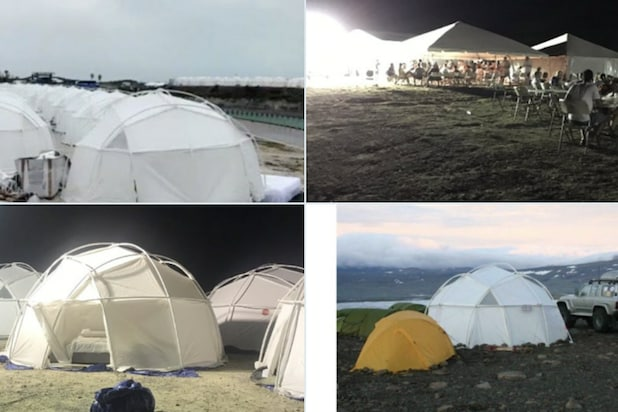 The disaster was punctuated by a Red Hot Chili Peppers performance that was supposed to include a soaring Jimi Hendrix tribute and a moving candlelit vigil during their song “Under the Bridge.” But it devolved into massive fires. By the end of the festival, ATMs had been toppled, vendors robbed, and countless people found themselves covered in latrine runoff. Our podcast about Woodstock ’99 isn’t as relentlessly dark as it sounds: We also talk about our love of MTV’s Kurt Loder, offer a careful analysis of Limp Bizkit’s biggest hit, “Nookie,” and try to understand Fred Durst a little better through the stories he reads on Flipboard. And we end our show with a festival of praise for Alyssa Milano.